The socks-in-progress are numerous and, thus, kind of slow. 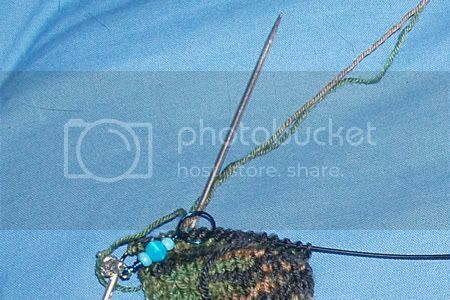 I’m on the heels on my current simple pair, though, so those should be done pretty quickly. “The rules of the game get posted at the beginning. Each player answers the questions about themselves. At the end of the post, the player then tags 5-6 people and posts their names, then goes to their blogs and leaves them a comment, letting them know they’ve been tagged and asking them to read your blog. 1) What was I doing 10 years ago? 10 years ago I was in high school. And I was doing what all high school students do – going to class, studying, not getting into (much) trouble… No really, I was a really good kid! I was also dying my hair tons of different colors. Hmm, well I didn’t really have a to-do list for today. I mean, at work, but that’s no fun. I have trouble telling what foods are “snacks” since I tend to eat snacky foods for meals. But lets go with chocolate covered raisins, tortilla chips with salsa, and popcorn. Well, first off I would buy a house. With a pool – a big one that I could swim laps in. And people to clean it for me. And then I would promptly leave my house and go travel around the world. And in fibery pursuits, I would get a portable wheel and a drum carder and a circular sock machine. And of course I would make sure my family was comfortable and donate money to charity. I don’t tag people, but if you’re reading this and wishing you were tagged go right ahead! It’s all about the needles! Tonight I headed out to watch some tattooing in progress. 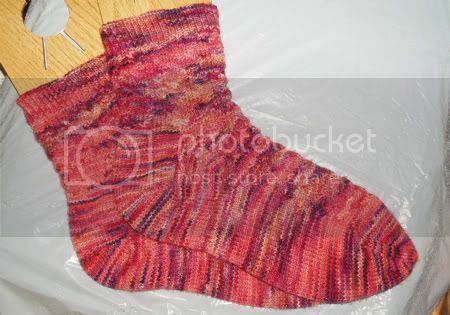 I actually got an amazing amount of knitting done – I finished a couple of repeats on the cuffs of my socks and did the whole heel flaps and turns! The knitting is pretty secret around here lately, but it’s definitely happening. As you can probably tell, I’m a dabbler. I’ve tried many different types of crafts and I enjoy many of them too. And some of them I’m no good at (say, drawing and painting) but I like anyway. Some I would love to do more of but I just don’t have enough time for that many hobbies! And I don’t tag, so I won’t, but do it if you’d like to. Today I was wondering how my life got so busy all of a sudden, and then I realized it’s summer. The weather is nice (well that’s debatable…) and suddenly I have all kinds of other things to do besides sit around and knit. Like hiking on the Harbor Islands, concerts, movies, trips to IKEA, berry picking… But I’m getting ahead of myself. Austermann Step yarn (I really like that stuff! 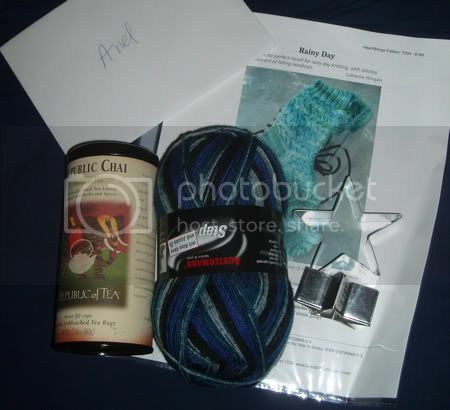 ), a pretty sock pattern, star cookie cutters which make me want to make cookies rightnow, and chai. And we all know how much I love chai. Also the Nagini pattern is up so I can show you my test knit pair. Knit in Koigu. I didn’t take the best picture cuz I was in a hurry to send them off, but there are plenty more in the pattern. The pair I knit turned out a bit short since the Koigu yardage is smaller than most sock yarns, but since it’s toe up I was able to use every bit of yarn. It should be fine for a yarn with more yardage. In a totally non-knitting-related tangent, I saw Tool on Thursday which was awesome. I don’t even know now how many times I’ve seen them but I think this was #5. I did knit on the way there. 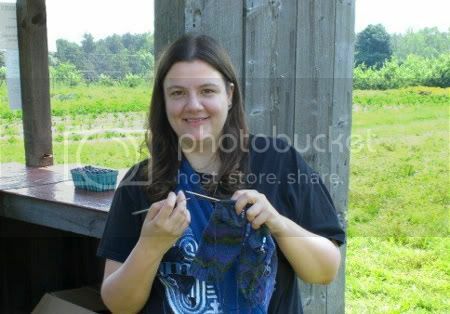 Then on Friday I went to see the new Harry Potter movie and knit while I waited. Some of my knitting buddies and I are planning on going to one of the big release parties happening around Boston this Friday. 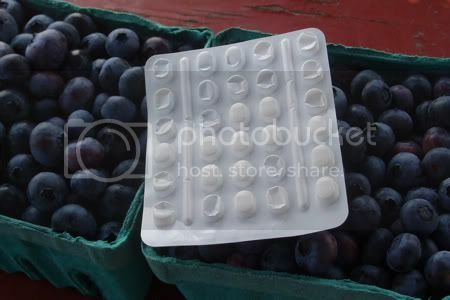 And I also went berry picking this weekend – still not knitting-related, although I did knit there too. 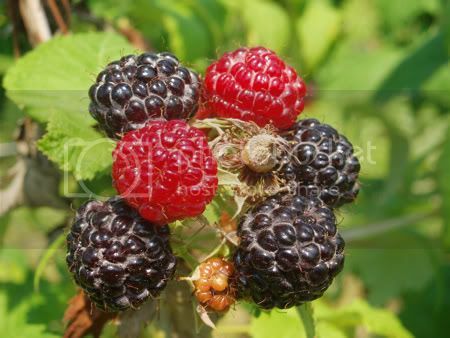 Then we picked some black raspberries and I exercised my camera’s macro. 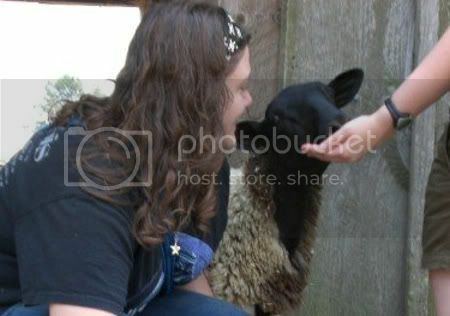 And we met some sheep! And last but not least, I’ve been tagged for the show your sock drawer meme. 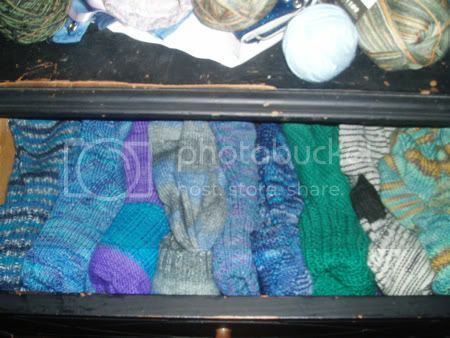 That’s what’s in the drawer at the moment, though not close to all of my socks. I don’t usually tag either, but I told bryghtrose I’d tag her so I will. And why not Catherine and Alexis and Amanda too, if you wanna. 2007 – The “forever” stamp goes on sale in the United States for 41 cents. 1775 – Last execution for witchcraft in Germany. 1982 – Ian Bell, English cricketer – I have no idea who that guy is, but we have the same birthday. 1930 – Anton LaVey, American founder of the Church of Satan (d. 1997) – Who knew? I was born on Easter, which falls on my birthday every 11 years or so. Wikipedia says: Juan Santamaría Day, anniversary of his death in the Battle of Rivas (State holiday in Costa Rica.